There is something beautiful at the intersection of culture, tradition, creativity and humanity that some fear will be lost as AI becomes more prominent. There are parents and educators who are concerned about the rise of mobile technologies and the thought of losing the core of what makes us uniquely human. There is reason for people to be concerned when they see young people disconnecting from face-to- face interactions with peers and appearing to lose touch with the real world around them. We see on social media people falling into fountains as they are so engaged in the content on their mobile devices that they not only miss the aesthetics of the fountain, but they also miss that tripping over and falling in could be hazardous to their physical wellbeing. We see cyberbullying. We see destructive behaviors. But we do not have to choose between either humanity or technology. Both can exist together. Technology can support humanity in powerful ways. But it does require some creativity and a willingness to step out of domains that have been considered traditional subjects in school. This requires educators to continuously become learners and to be willing to challenge long-held ideas of how to approach learning and assessment. Education as we know it now has become an incredibly inertial system. It tends to stay in its current state unless something acts upon it. Although there are many people who have been working on education change, it feels like once there is some movement for shift in thinking, the fear of failure, the resistence to change, how to assess learning, or the feeling of being inadequate lead people to return to that inertial state. Nothing seems to change enough to make a big enough impact in a scalable way, leading to substantial change. As much of education stands, the fears and challenges are more similar across the globe than many educators are aware. This is because human nature transcends geographical boundaries and languages. Without a shift in the way we think about education, we will continue to train young people to look at content in isolation, work only with same-age peers, resist seeking multiple perspectives and alternate paths to elegant solutions, while these learnings are removed from context and application in life. To model creative, cross-cutting divergent and convergent thinking, and re ective processes, educators need to be willing to go beyond feeling most accomplished as specialists in a speci c, singular subject domain. There needs to be a willingness to learn about other domains, intersections of subject matter and approaches that they may have never considered in the past. This requires a willingness to acknowledge: “I don’t know it all, and I need to leverage the expertise of others” In other words, teachers need to model collaboration as well as humility, understanding that we cannot humanly know everything in one subject domain, nor can we be the sources of all the knowledge our students will need. Artificial Intelligence will continue to make this reality more evident as AI based searches, such as Wolfram Alpha, (which powers Siri), become increasingly sophisticated and much quicker at accessing a wide range of content. This doesn’t make human educators obsolete, by any means. However, if all an educator is doing is just what an AI based search engine can do, and students can nd a rote response to a question quickly, then the machine should replace the teacher. It will be more ef cient and probably faster at providing an answer and has the ability to quickly present more than one perspective on a topic. We, rather, need to focus on what machines are not good at. We need to help young people look for multiple approaches to solutions and draw on inspiration from those who have gone before us. We need to train them to receive and apply critique – and more – learn how to ask for it. We need young people to respect other people’s perspectives that are different from their own, develop empathy and compassion and let those inspire defining problems that need solutions and need answers. So, how to harness all of what technology has to offer us to help solve those challenges in unexpected ways? We have seen the power of technology. We know the good it can do. We have also seen the power of humanity. 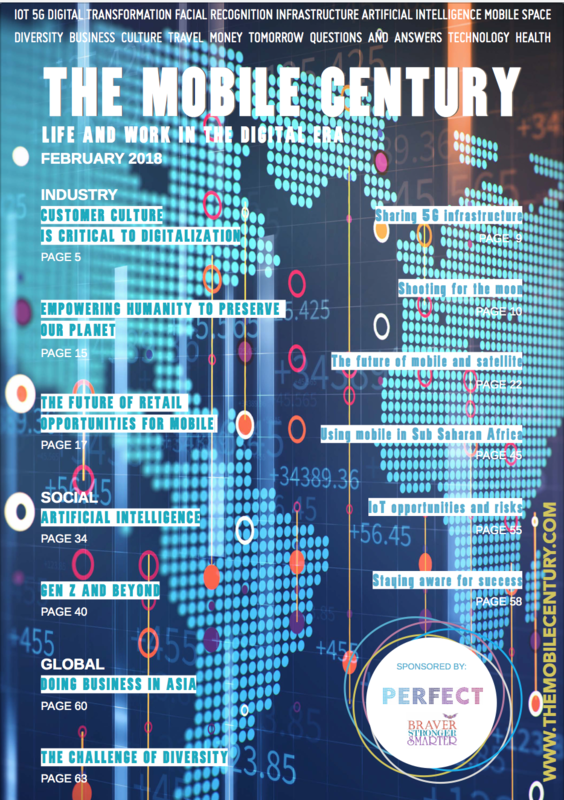 GTWN at Mobile World Congress in Barcelona, Spain, in 2019 is once again evidence of the power of human connection in an era where technology allows us to communicate across distance and time. 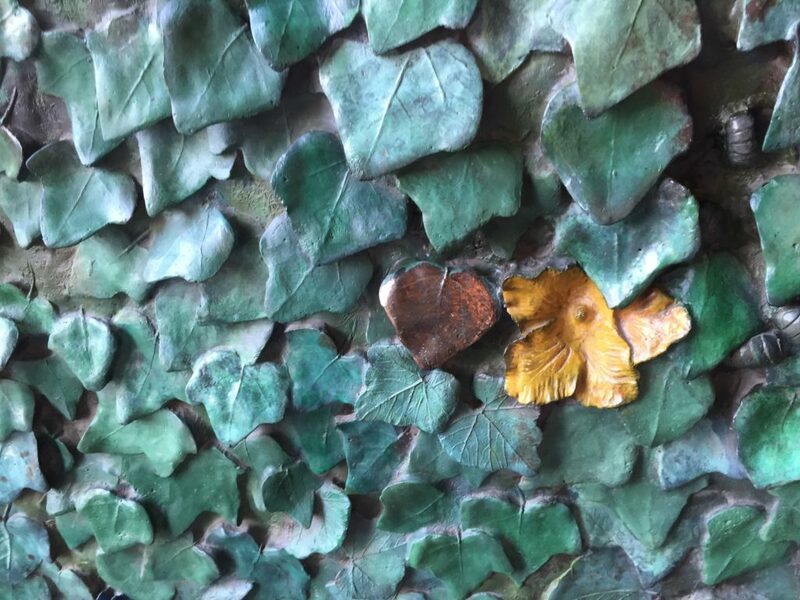 There is something uniquely human about meeting in person and watching the serendipity of new ideas emerge, new connections, transferring learning, and being inspired by beauty, architecture, strength, grace, emotion, tradition, and culture that surrounds us. From traveling, listening to people, and presenting around the world I continue to become more aware of how different the experience is to research online about a place and a culture than it is to be immersed in it and talk with the people who live there. 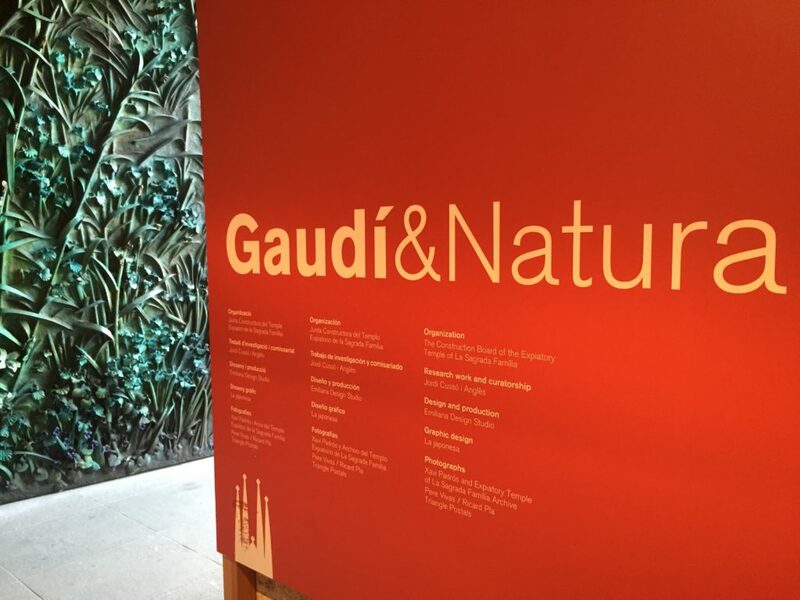 When I visited Barcelona for the rst time in July 13, 2015, I wondered how in my entire school career, I never knew about Gaudi. 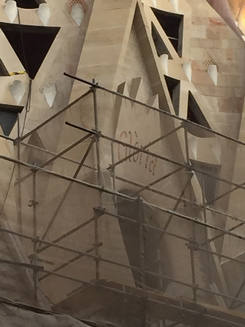 I didn’t recall hearing about La Sagrada Familia until someone recommended that I make sure to visit while I was there. I had visited many cathedrals in Europe and thought I had an idea of what I may walk into. The experience was nothing like I expected. 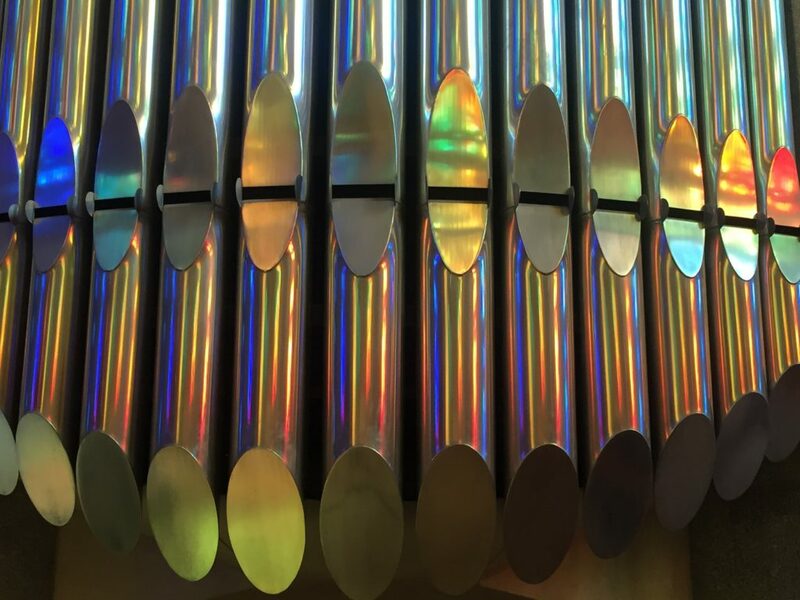 The intentionality with the way the light played across different surfaces to bring rhythm and music to cold metal organ pipes and play across the stone, the structure of the support systems replicating shapes found in nature, like trees and branches. It was a striking statement with the absence of traditional iconography, but a choice to tell the story by demonstrating the glory of God though His creation though abstractions of creation in all of its strength, beauty, balance, and precision. It was mathematical, scientific, engineering marvel, and had an aesthetic that I didn’t anticipate. It was intentional design. Not an accident. Not a replication experiment of something that had been done before and tweaked, and yet, a replication of what already exists in nature, reimagined. 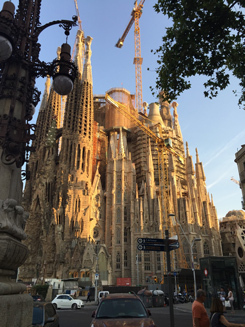 I walked away thinking how La Sagrada Familia was an extraordinary example of the intersection of Science, Technology, Engineering, Arts, and Mathematics (STEAM), an ongoing, transdisciplinary, project-based learning (PBL) that was history and was becoming history, simultaneously. It was merging the past and the future, the vision of someone who may have been far ahead of his time and the emerging technology now that was helping to make his vision a reality for future generations to marvel.1 I wanted my students to see. I wanted them to know what STEAM looked like across generations, in real life. I decided to turn it into a hub for learning and modeling a process of thinking, researching, practising, reporting, documenting, and sharing failures and successes. I wanted the learning to span subject domains, across different media – tangible and digital. I wanted there to be storytelling and student voice. I wanted them to experience challenge that may not succeed at first, persist, and model that for younger students and for educators to see what was possible. I wanted them to be the center of their learning and set goals as they collaboratively produced a final product. Humans and machines both have the ability to learn from mistakes—but only humans can glean wisdom from them. Our imperfections are worth observing. The flaws in each of us can propel us to become better, and the scars we have received though hurts can guide our choices when failure occurs. It takes courage to model this for our students— to encourage them to highlight their mistakes in their STEAM, design thinking, and PBL work so they can reflect on their failures, ask the right questions, and move forward with resilience to find a solution. Their documentation becomes a model for others to build upon, creating the type of culture necessary for innovation to persist. (see Teaching AI2, p. 151)3. I wanted my students to see the parallels between the way Gaudi used parabolas and catenary arches with the type of work Pixar Animation Studios did to create blades of grass for an animated movie. Both drew on nature and represented nature. Both used some form of technology. Both approached the challenges in unexpected ways to produce the desired result and end product. In the future, we know that machines will become more capable of automating tasks, including basic level code. However, humans have the ability to create in ways that are inspired by emotion, tradition, culture, empathy and even from implicit information in ways that machines currently cannot. As educators, mentors, influencers, and developers, we have the opportunity to help young people understand who they are as people; why societies, cultures, and traditions are important to people; how to treat others with respect; and how to become stronger in areas where machines do not excel, while learning about machines’ ability to augment our own human capacity. Students need to know how to learn, unlearn, and relearn to remain relevant in a constantly shifting job market. Training in design thinking, STEAM, and PBL can assist with developing this mindset early. The cultural implications of AI make it vital that culture remains a part of the process as schools lay the foundation for students to effectively interact with new technologies while engaging in project-based learning, STEM, and design thinking. The key to retaining the uniqueness of schools around the world is to not abandon each school’s rich heritage for the sake of modern technology. We should maintain a mission within our individual schools around the world and the communities they serve to ensure they have a clearly defined culture, allowing history to be restored, renewed, and maintained in order to not forget the past. By adapting our vision for the future, we can demonstrate a synthesis of existing culture and machine learning (Teaching AI, p. 57-58). 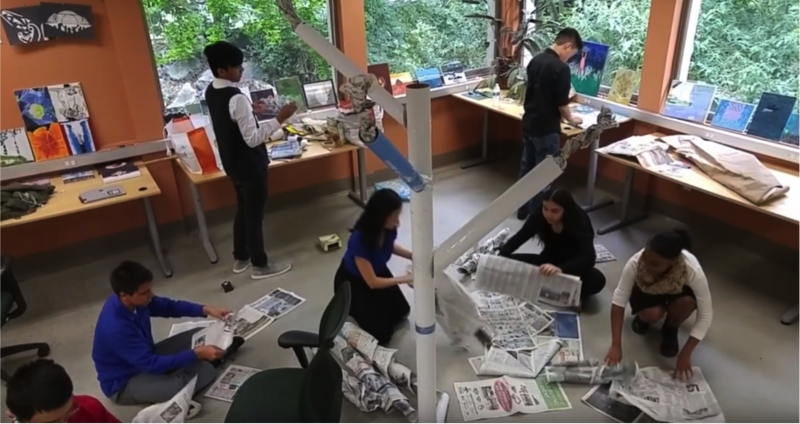 Creating rich projects like the Paper Tree Project will help students practice deep level processing, collaboration, knowledge creation, and communication as they work across multiple domains and transfer learning to multiple settings outside of the classroom walls. Mobile enabled technologies are making learning out in the eld more ef cient and purposeful. There are apps that are supported by AI to help students capture video and photo data, edit that data, and create new representations of learning. Choosing the tools that match the end goals for learning4 will help us to prepare students for the future. If we don’t take the challenge to engage in modeling these behaviors and showing educators and families what is possible, who will? When will we expect young people to learn it? But in the process of helping create a vision, build the scaffolding, model with technology, we can document the progress to show future generations that change didn’t happen overnight. It was the hard work of passionate and dedicated individuals who helped make the future of education and learning a reality though policy, collaborations, innovations, and technologies that allowed them to communicate globally in ways we cannot yet even imagine. 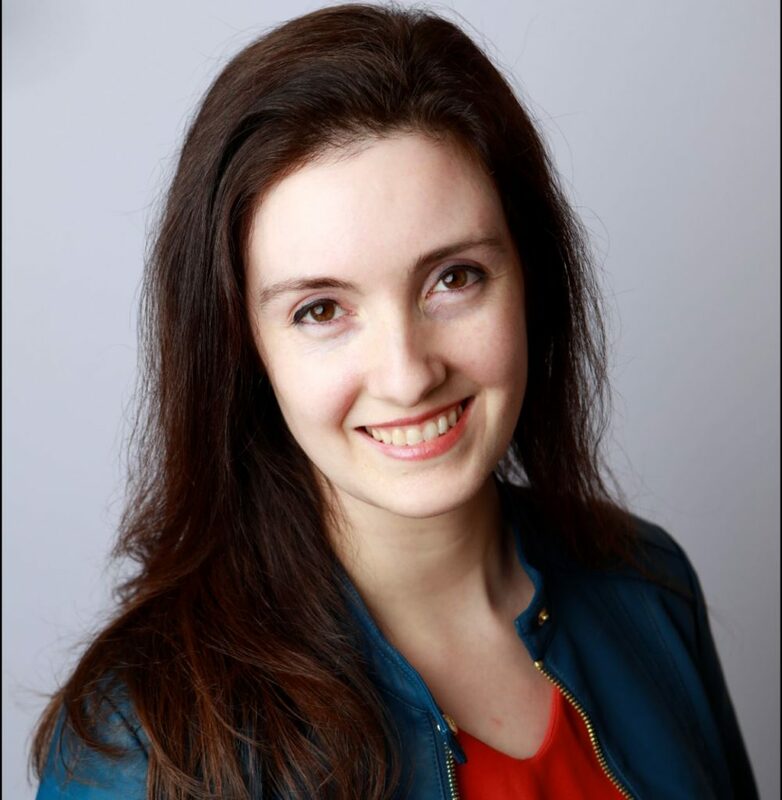 See January 9, 2019 article about Michelle and her students Teaching AI: Exploring New Frontiers for Learning on Forbes.